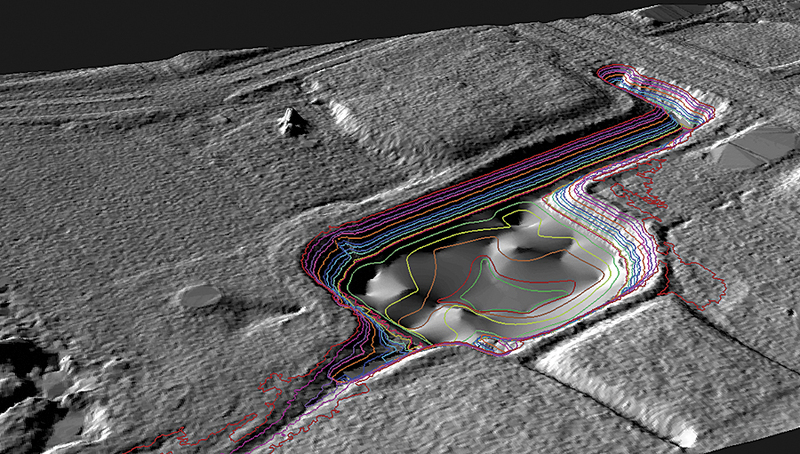 ArcGIS 3D Analyst and terrain dataset helped develop an accurate 3D representation of the town’s surface terrain. For informed planning, GRCA applies classic principles of geodesign, using robust tools to design and evaluate structures that work in harmony with nature. This allows the town to meet goals related to both sustainability and regulatory compliance. The town has found that Esri’s terrain dataset, along with the ArcGIS 3D Analyst extension, allowed staff to develop a digital elevation model (DEM), an accurate 3D representation of the town’s surface terrain. These ponds are a necessary fixture of growing urban areas because flood events are often greater in magnitude and frequency within increasingly urbanized landscapes. 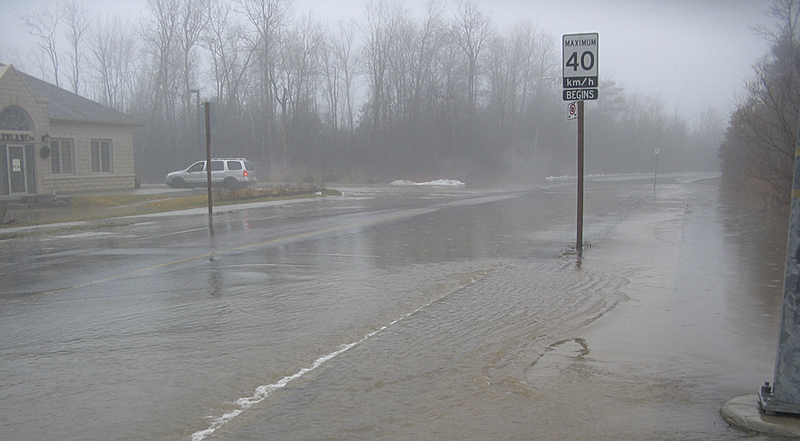 Furthermore, surfaces associated with urban areas, such as roads, parking lots, and rooftops, prevent the natural infiltration of water into soil, which can potentially cause widespread flooding downstream. 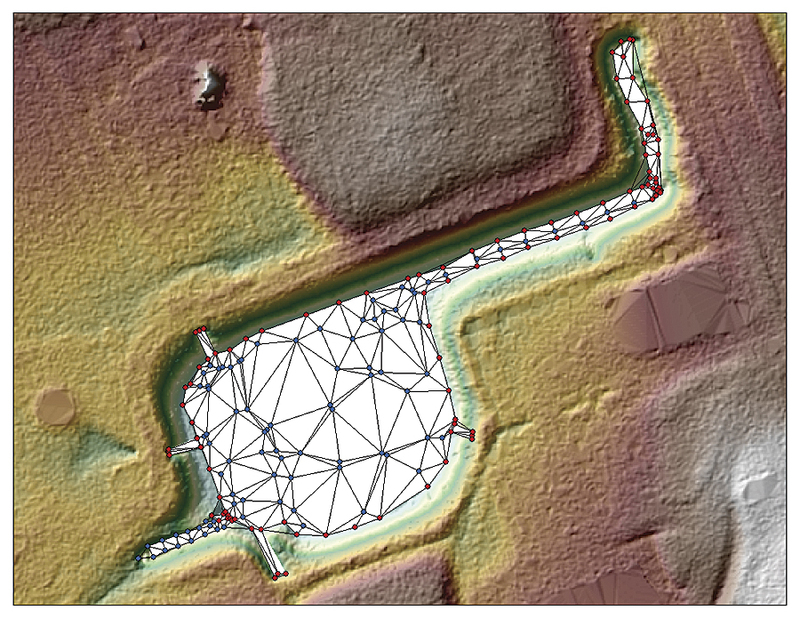 When analyzing existing or potential pond sites, GRCA leverages the ArcGIS 3D Analyst extension to incorporate multiple criteria into the decision-making process. This can include land availability, geographic conditions, and site-specific legal and jurisdictional considerations. Using GIS, it’s also possible to evaluate the performance of a detention pond, including its attenuation efficiency (the ratio of runoff retained in a pond versus the amount flowing in), prior to construction.